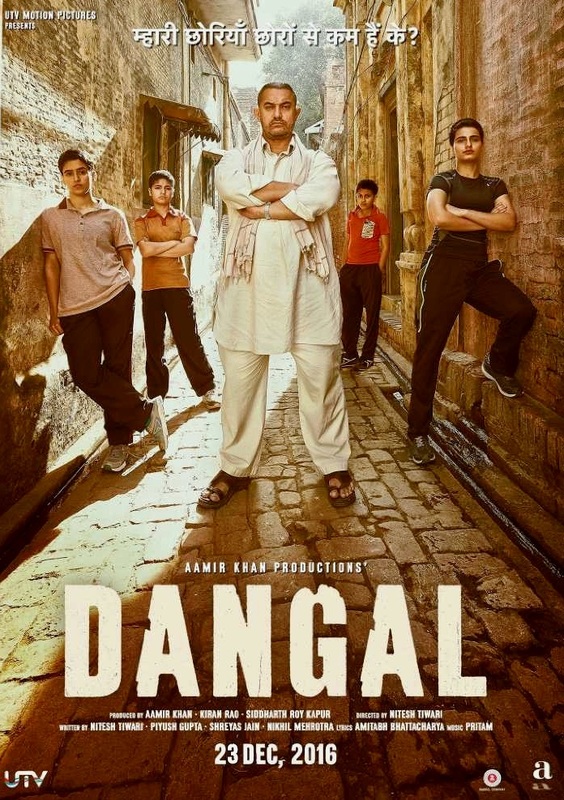 Dangal (Wrestling Competition) - Gripping adaptation of the biography of Wrestler Phogat and the events in his life; including his children, relatives and wife. The movie evidently captures the technical details in wrestling along with the challenges in a wrestler's life, coaching of this sport, facilities in NSA and distractions. Though dramatized for a bit to enhance the screenplay, the performances of each actor are without foul-play and worth appreciating. 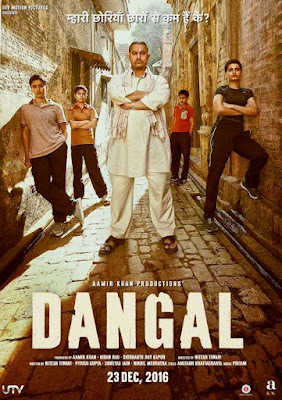 Aamir, as always, forms the crux of the film with the terms (perfection, transformation, dedication) now synonymous to his professional commitment. New kids on the block, performed the stunts of attack, defence and lock with much aplomb and deserve great praise. Watching this movie is certainly a reprise of entertainment and re-rise of trust in good movie-making. The girls in it are not faking, please do go for the taking. 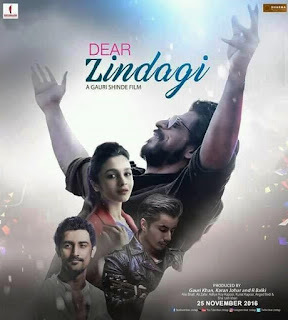 Dear Zindagi (Dear Life) - Seems mostly the protagonist is from the mould of Director self. The thoughts shown/perceived to be independent, carefree, outcast at the same time fearful, confused, introvert through the lead actor might be true; but can't be lived through. It is good to see that the film has a better second half and hopefully concluding climax. Yet, the solution maker in the movie living self in trouble and pain; finding solace in repairing bicycle handle and chain; might not have a positive impact to gain. Nevertheless, the movie could have been curbed in length and improved screenplay would have added more strength. 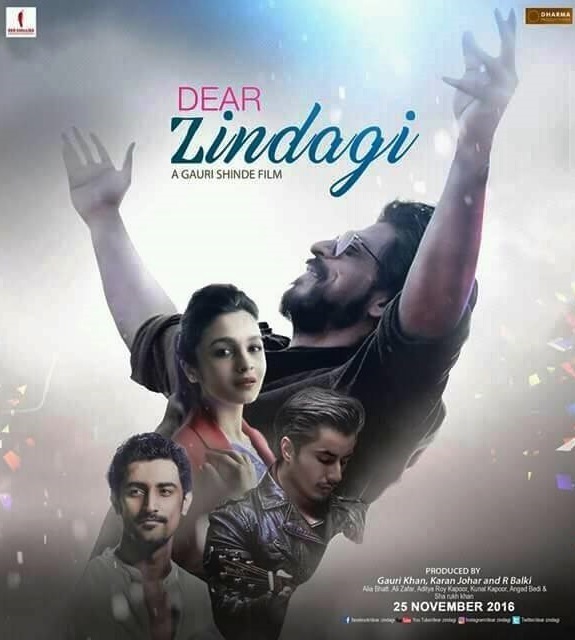 For Alia, it is a step-up stone and for SRK, it is fitting to his tone. A movie of psychiatrist sessions on the whole, might not be befitting for a normal soul. The view of life differs for each person and not necessarily everyone wants to fly as a bird and experience it being free from all. We are humans, after all.